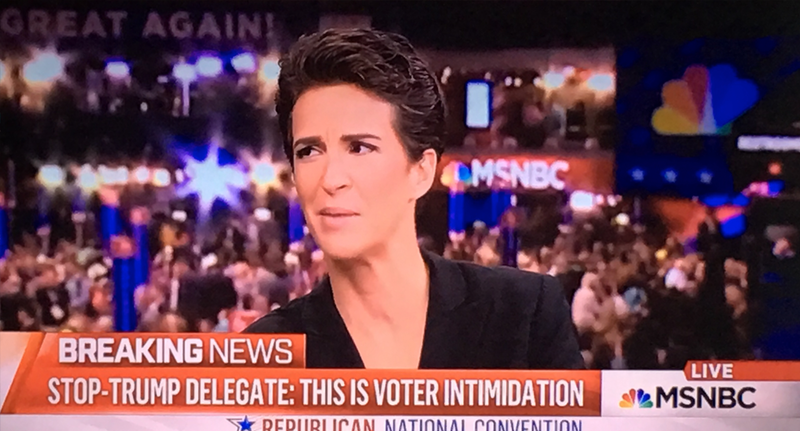 Some sharp eyed viewers noticed that MSNBC is digitally covering up competitor’s CNN booth in the background for its Republican National Convention. Both NBC News-MSNBC and CNN have two story booths located side-by-side stage right of the dais in Cleveland. 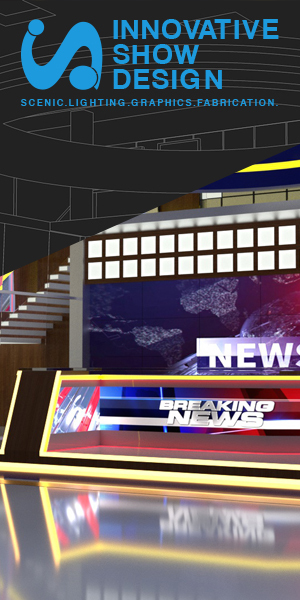 Much of MSNBC’s coverage is originating from the newly renovated corner of its New York Studio 3A, which has a bird’s eye feed of the convention floor fed to the large LED video walls that serve as the background behind the anchors. However, since this angle would show CNN’s booth and therefore its logo on MSNBC’s air, MSNBC opted to digital cover the booth with a bold blue background with NBC peacock and banner featuring the MSNBC logo.